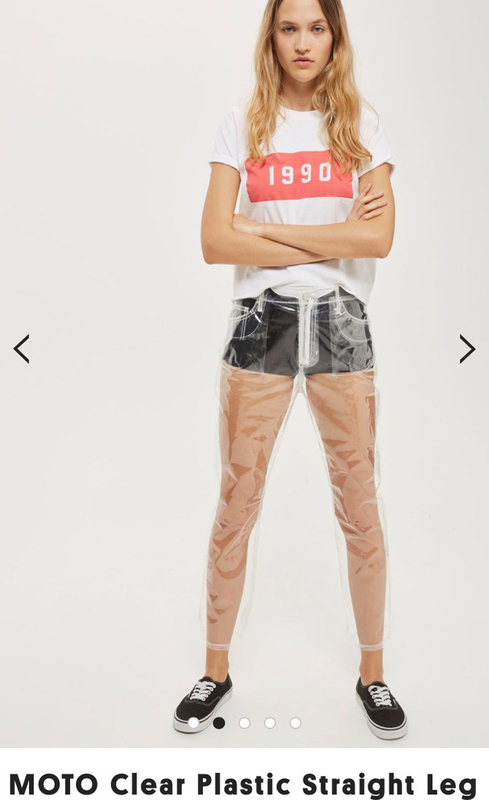 CLEAR PLASTIC JEANS ARE YOU FEELING OKAY TOPSHOP? 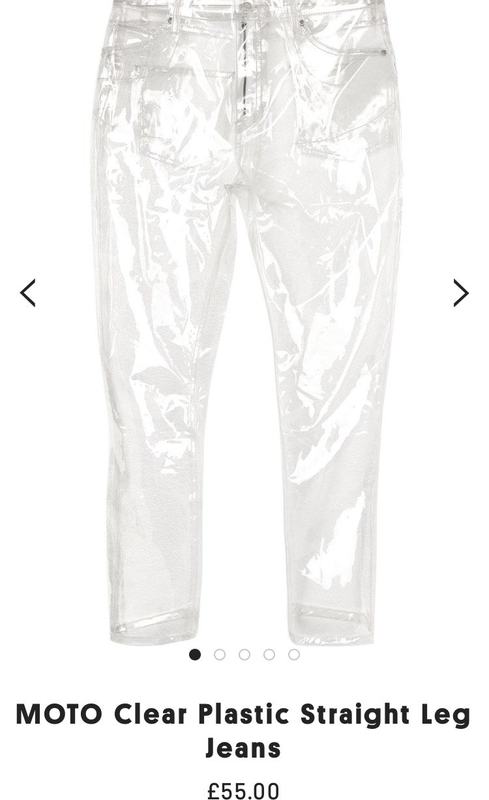 I like Topshop's clear plastic trousers. Bet they'd look great on tattooed legs. Don't @ me.